A cut silver halfpenny of John dating to the period AD 1204 to 1209. North Number 970. The moneyer is Davi of York. 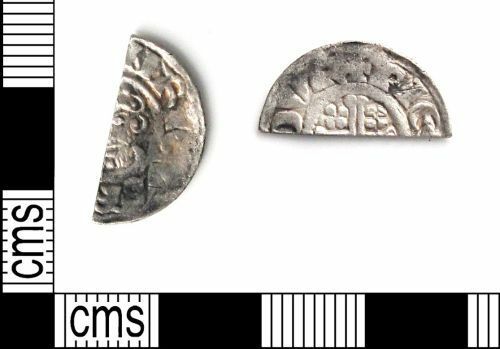 A complete silver halfpenny dating to the period AD 1204 to 1209. North Number 970.